Lately I’ve been taking a slightly longer route home from work to avoid some road construction. 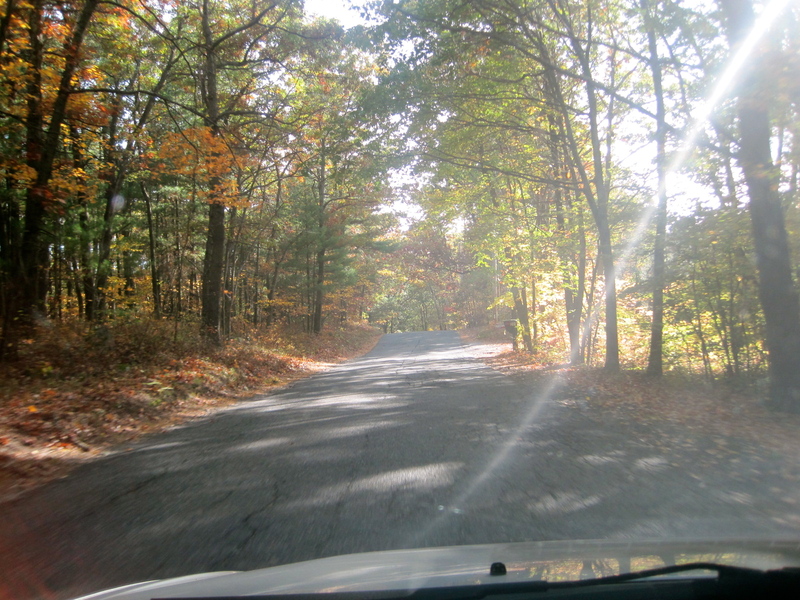 It is stunning in the fall – about fifteen minutes of winding, country roads through trees. The houses are unobtrusively set back. 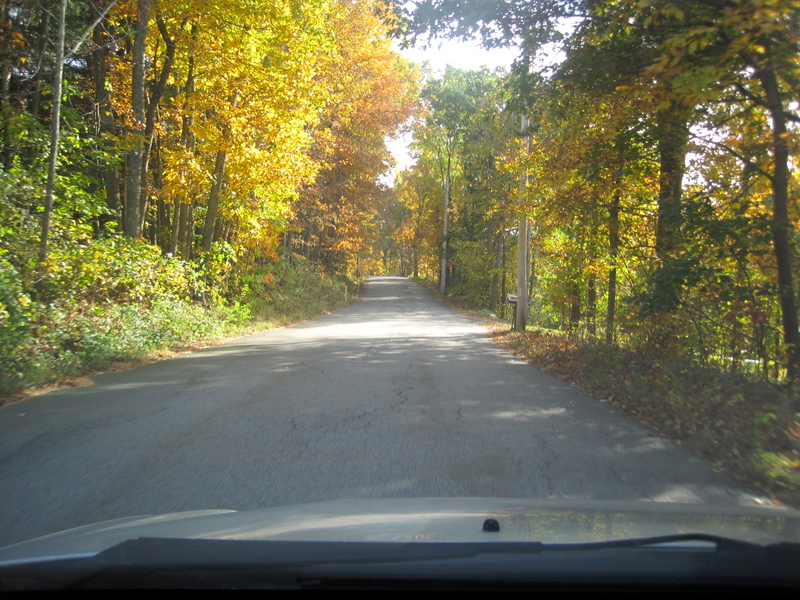 I took these shots while driving (slowly) so they’re far from perfectly composed, but they do give you an idea of the beauty of this road. Unfortunately, I couldn’t get a good shot of the pine forest. 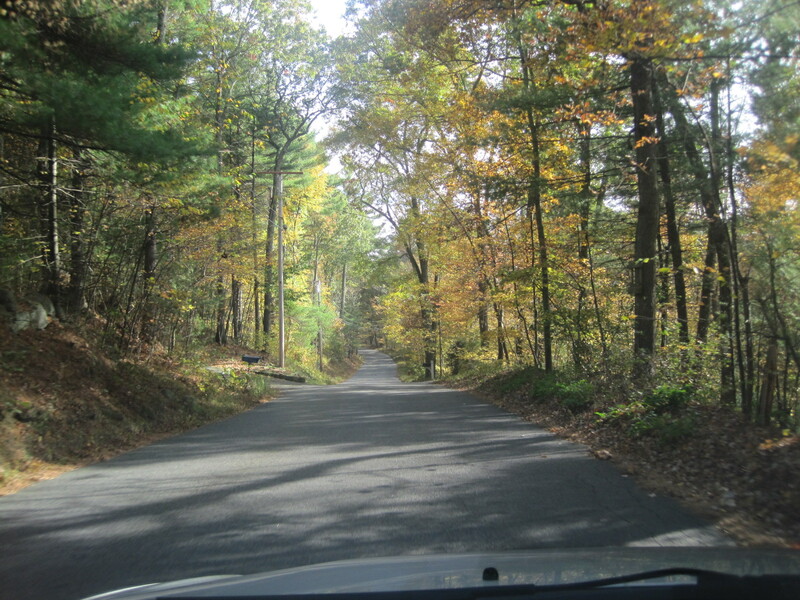 Driving with the windows down, I can smell the pine as strongly as if there was a Christmas tree in the passenger seat.